The recent Government Guidelines, which state that Speed Cameras should be made clearly visible, would appear to be causing confusion. Guidelines aren't mentioned in the law, so if the speed camera that flashed you was hidden from view it will not affect the allegation of speeding that's been brought against you. 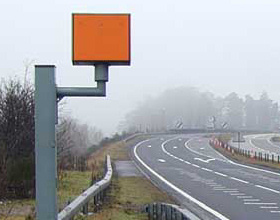 However, you should report the camera's location to The Department of Transport, as doing so should result in the particular authority being removed from the "netting-off scheme" which allows them to keep part of the revenue collected by their speed cameras. ACPO Traffic Enforcement Guidelines are also not mentioned in the law, but they unambiguously state that traffic officers performing speed checks should do so from a position that's clearly visible to the public - take a look. "31.2 The operator must be clearly visible to the public and the target vehicle throughout the check." So, if you see a Traffic Officer hiding behind a bush or working from inside an unmarked transit van, why not stop and ask them if they realise that their conduct is breaching the ACPO guidelines - please don't forget to ask them for their name, number and the contact details of their Chief Constable so that you can write a letter of complaint about the officer's conduct. 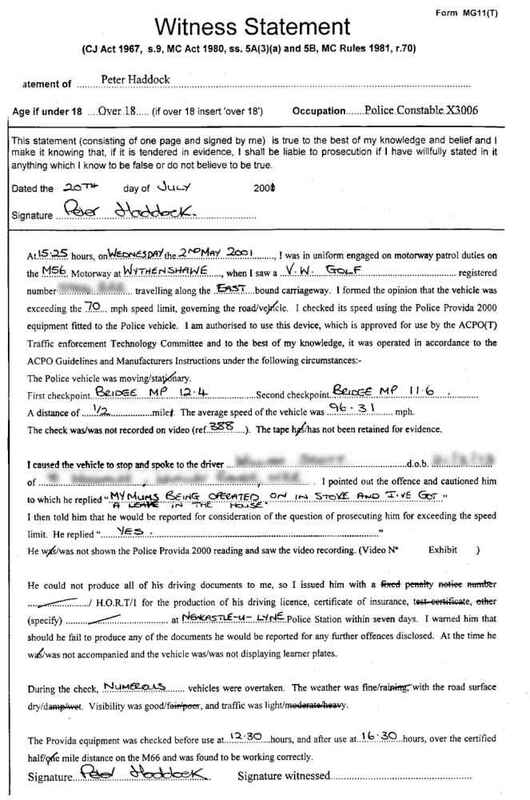 ACPO guidelines also clearly state that the officer should only use speed-measuring equipment to corroborate their prior personal opinion of excess speed - take a look at section 32.5. "32.5 Operators should bear in mind that the device confirms and corroborates prior personal observations." This means that the officer is not supposed to point the equipment indiscriminately at all of the passing traffic, in the hope of catching one of the vehicles "speeding". This also explains why a police officer's witness statement normally includes the words "I formed the opinion that the vehicle was exceeding the speed limit". The LTi 20/20 that recorded this traffic video was being operated by PC 06 Evans of Gwent Constabulary, and you can decide for your self whether or not it's recorded any disingenuous behaviour. The video can be downloaded free (1.3 Mb) from this link. Incidentally, the driver of the silver Audi A4 pleaded guilty to driving at 97 mph and was fined £500 and received 5 penalty points.